When artists, art collectors, and art lovers come together, it’s time to get social. we are pleased to present a diverse series of After Parties for your full enjoyment. VIP Red Card events are for VIP Program members only. 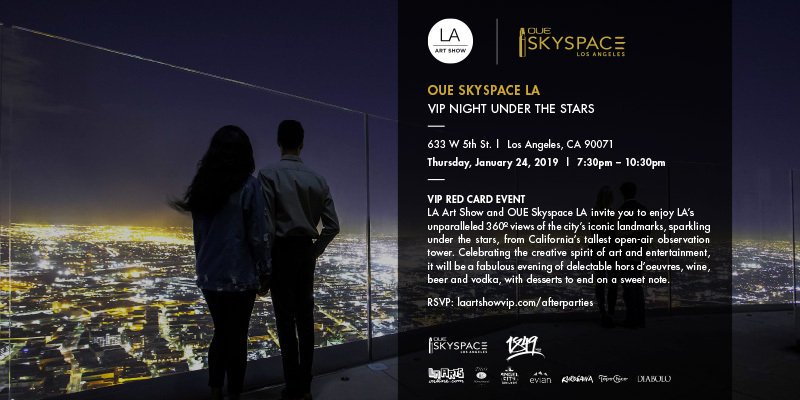 Self-parking: Westlawn Garage, 524 S. Flower St.
LA Art Show and OUE Skyspace LA invite you to enjoy LA’s unparalleled 360º views of the city’s iconic landmarks, sparkling under the stars, from California’s tallest open-air observation tower. 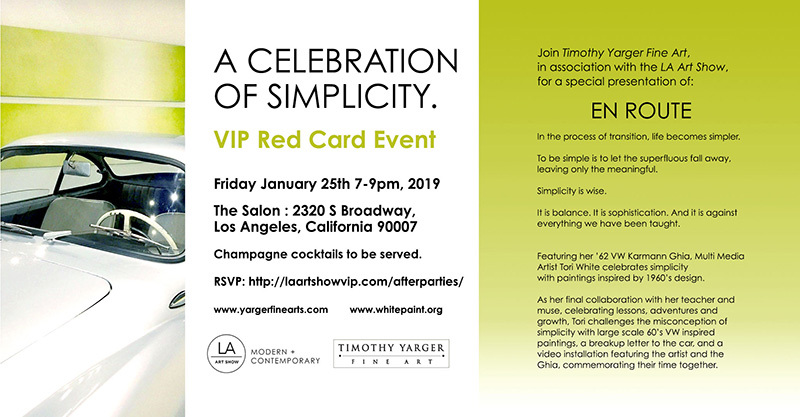 Celebrating the creative spirit of art and entertainment, it will be a fabulous evening of delectable hors d’oeuvres, wine, beer and vodka, with desserts to end on a sweet note. VIP Red Card event. By invitation only. Featuring her ’62 VW Karmann Ghia, Multi Media Artist Tori White celebrates simplicity with paintings inspired by 1960’s design. As her final collaboration with her teacher and muse, celebrating lessons, adventures and growth, Tori challenges the misconception of simplicity with large scale 60’s VW inspired paintings, a breakup letter to the car, and a video installation featuring the artist and the Ghia, commemorating their time together. Champagne cocktails will be served. 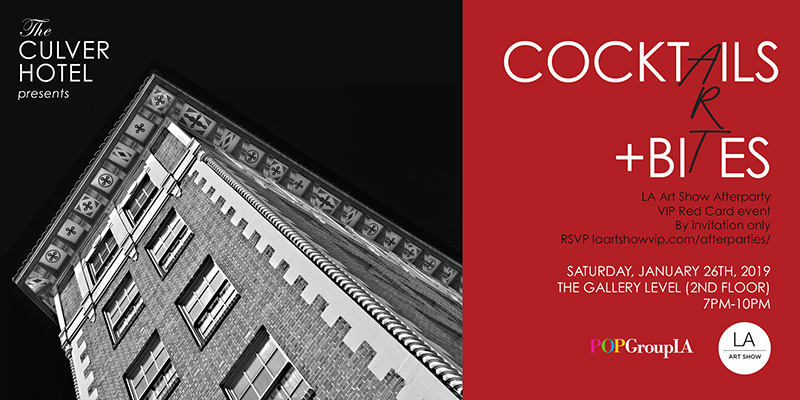 The historic Culver Hotel and POPGroup LA invite you to an evening of cocktails, art and bites celebrating the creative spirit of the LA Art Show. The iconic architecture and elegant interiors inspired by turn of the century Parisian lofts will serve as a unique backdrop to the interactive works by renowned Italian artists, Marinella Paolini and Biba Mogherini copyright FormedArteItalia. Come join us!